"The Clever Mutt™ Team are Rock Stars !!! They made my vision for my website come to life and it's even better than I had imagined. When I started this task I was afraid they would make me feel stupid for not knowing programmer jargon or it would be too hard to maintain the website afterwards. I was wrong on both accounts. The staff is friendly, understanding and beyond helpful. The best part is I can update my photos in seconds ! 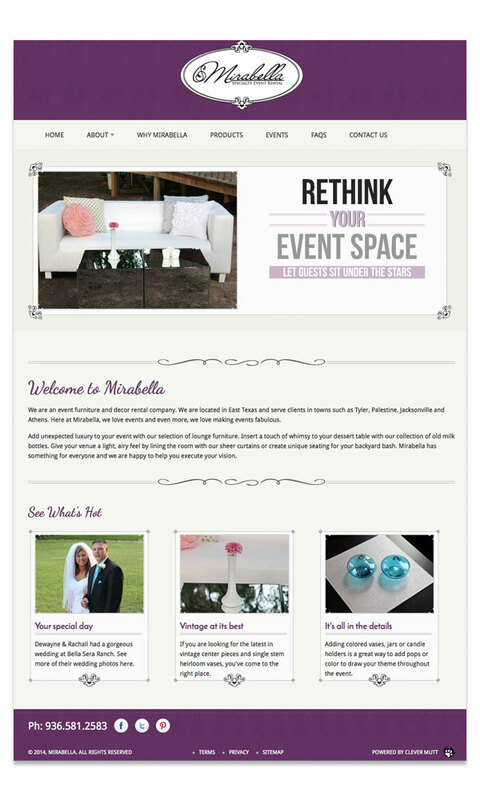 I love the look and feel you get from my website; it's me & my company to a "T". I would (and do) recommend them to others. They are the fantastic !!!" 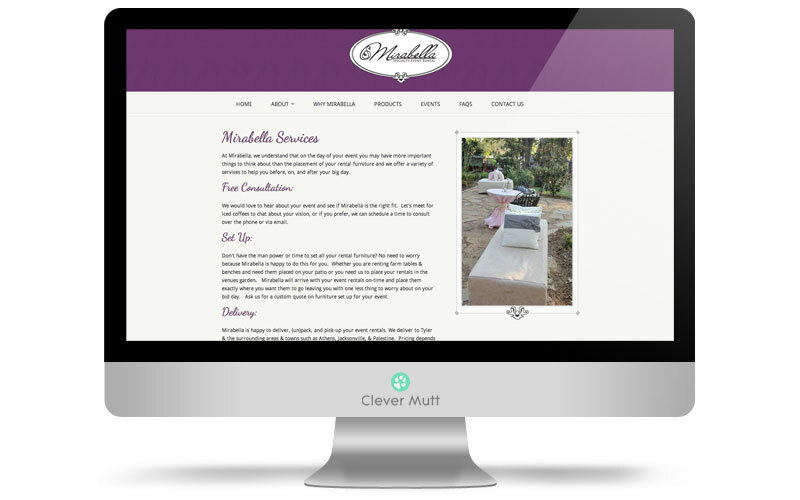 Mirabella Decor hired Clever Mutt™ to provide a unique take on their website, and to power it by the Clever Mutt™ Portal web CMS for ease of self-management. The site includes a playful and elegant design, interactive FAQ's, events, albums and more. We are an event furniture and decor rental company. We are located in East Texas and serve clients in towns such as Tyler, Palestine, Jacksonville and Athens. 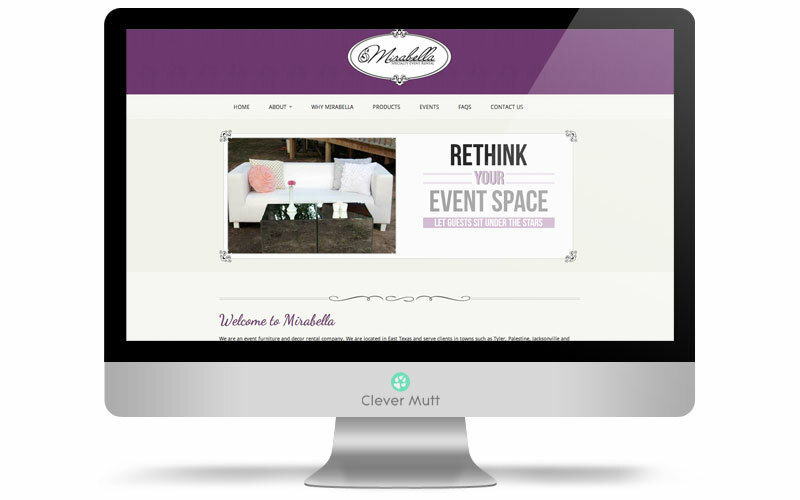 Here at Mirabella, we love events and even more, we love making events fabulous.